Your bottom bracket isn’t the most exciting part of your road bike, which makes it easy to ignore until something is wrong with it. However, it’s a very important part of your bike, so in this article, we tell you a little more about this essential yet relatively uncelebrated component. Your bottom bracket connects your cranks to your bike in such a way that they can rotate freely as you pedal and put power into the drivetrain. It is located in the bottom bracket shell which is where your frame’s down tube, seat tube and chain stays all come together. A bottom bracket typically contains bearings that enable the crank’s spindle to rotate. Shell and spindle widths vary depending on the type of bottom bracket. If your bottom bracket is working well, you can pedal smoothly with minimal resistance. That means the energy you apply to the pedals gets transferred efficiently to the bike. Looking back over time, there have probably been as many different bottom bracket designs as there are bike brands; and some bike brands have even been known to come up with their own proprietary bottom bracket designs. Modern bottom brackets tend to come in two general types: threaded and press fit. Threaded bottom brackets can only be used with frames that have a threaded bottom bracket shell. This is because threaded bottom brackets must be screwed into the frame. These bottom bracket’s bearings are typically held in place within cups. What’s tricky about threaded bottom brackets is that not all threaded bottom brackets are created equal, which means that different types of threaded bottom brackets can’t just be swapped for other types. For example, two common threaded types are Italian or English. Both sides of an Italian standard bottom bracket are right threaded; whereas English standard bottom brackets have opposite threading, like your pedals do. The advantage to the English design is that the drive side does not come loose through the forces of normal pedaling action like it tends to on the Italian version. The good news about threaded bottom brackets is that they are relatively easy to install and maintain. Also known as threadless bottom brackets, press fit bottom brackets get, well, pressed into your frame’s bottom bracket shell instead of threaded in. They are effectively cartridge bearings pushed into the shell, and their design often allows thicker crank spindles, which some riders experience as stiffer and more efficient. Some examples include BB90/95, PF86/92 and BB30. BBright and BB386. Special tools may be required to press the bottom bracket cups into your frame during installation and likewise to remove them again should you ever need to do so. 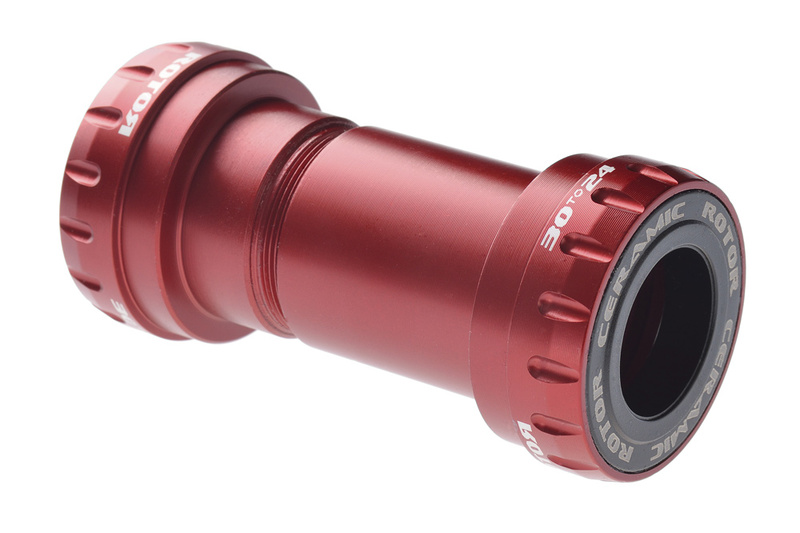 This once very popular type of bottom bracket combines the bearings of the bottom bracket and the crank’s axle together into one removeable part. The cranks affix onto two square tapers on either side of the bottom bracket. Square taper bottom brackets are effectively a specific kind of threaded bottom bracket. They are frequently found on older, vintage bikes, but are still on some more contemporary bikes. When your bottom bracket is poorly adjusted, it may develop play or a wobble, causing less efficient transfer of energy from you to your bike. Another common problem is that when bearings get contaminated with dirt and water or wear out, there is more friction in turning the cranks, so it feels harder to pedal. Sometimes the bearings actually feel rough when you spin them; other times, you may hear and/or feel a click or two with each pedal stroke, especially under higher loads. It is important to maintain your bottom bracket. If you have a threaded bottom bracket, remove it periodically and refresh the anti-seize compound that keeps it from getting permanently stuck in your frame. And no matter what type of bottom bracket, check your bearings regularly to keep them running smooth. Loose bearings in some types of bottom brackets can been taken apart and cleaned and re-greased; whereas in cartridge-type bottom brackets, you’ll simply replace the cartridge bearings when they go bad. You can make your bottom bracket last longer by carefully cleaning your bike. Never spray high pressure water directly at and around your bottom bracket as it will eventually penetrate seals compromise the integrity of the bearings. Lots of different bottom bracket standards mean there are lots of different tools for installing and removing them. If you don’t have the proper tools and skills, you may need to take your bike to your local shop to help you fix any bottom bracket issues.